Hi! I’m Gayle Forman. I have one of those jobs in which people frequently tell you that you made them lose sleep, or made them cry and the appropriate response is 'thank you'. 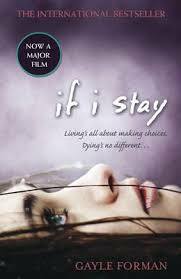 Which is to say, I’m a young adult novelist of If I Stay, Just One Day, I Was Here, etc., who traffics in the feels. My latest book is called I Have Lost My Way. I have been told this one will also make you cry. 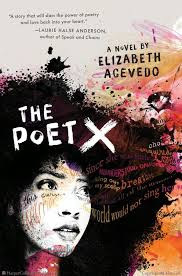 I just finished Elizabeth Acevedo’s ThePoet X this morning and am still humming from its brilliance. It was one of those books that I had to fight myself not to inhale in one go. It is one of those books that now I have inhaled, I am going to tell everyone I know about. Starting with you. The title. And the Twitter love. It’s a big pile. Ashley Woodfolk’s The Beauty That Remains, Brendan Kiely’s Tradition, Danielle Lazarin’s Backtalk (which I’m halfway through), Matt Haig’s How to Stop Time (also halfway through), Tiffany Jackson’s Allegedly and Barbara Ehrenrich’s Natural Causes, which is cued up on audio. I was on several panels with Ashley. I’ve been hearing about Tiffany’s work for some time. I was given the Matt Haig and a bookseller turned me onto Backtalk. Brendan is a friend and I pulled strings to get a copy before publication. When I’m reading books, I tend to read fiction, mostly contemporary YA and adult. When I’m listening to audio, I tend to read nonfiction. I like printed books because I can share the more readily, and display them on my bookshelf and buy them through Indie bookstores. I like eBooks because they are portable and I can read them in the middle of the night without waking up my husband. I love audiobooks for nonfiction because listening makes me feel like I’m continuing my education. 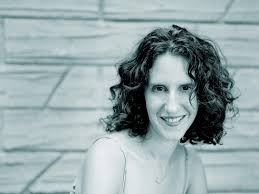 You can find Gayle online at www.gayleforman.com or @gayleforman.